Kalamaki is located in the southern part of Zakynthos and is known for its huge sandy beach with warm, crystal clear shallow waters, which is a part of Laganas Bay. Kalamaki beach is also protected by Greek legislation, as one of the places where the endangered Loggerhead turtle lays its eggs. 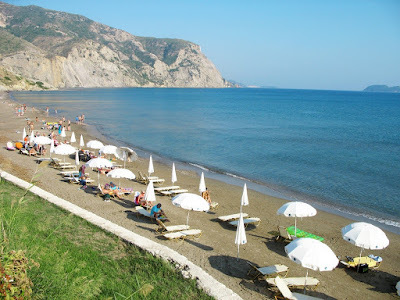 For this reason Kalamaki beach is a part of the National Maritime Park of Zakynthos. Kalamaki is ideal for family or romantic holidays, as it is pretty close to Zante Town but at the same time it’s a quiet resort with all the amenities. 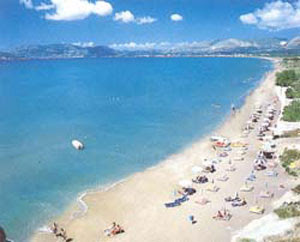 In Kalamaki there are several hotels, studios or apartments in a close distance from Kalamaki beach. Hotels or studios on the beach are extremely rare, as in this area the measures for the protection of Caretta-Caretta turtle are strict. Zantehotels4u.com has carefully selected a great variety of exceptional accommodation at affordable prices, taking into consideration your need for pleasant and great value for money accommodation in Zante. In Kalamaki you can find accommodation varying from 3 and 2 stars hotels, 3 and 2 keys studios and apartments. 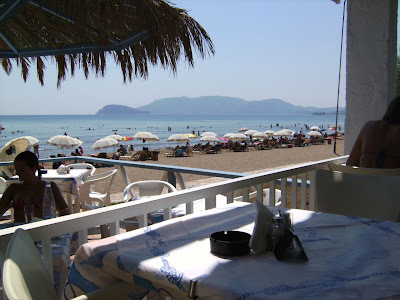 In Kalamaki there are several hotels in a close distance from Kalamaki beach at a great value for money. 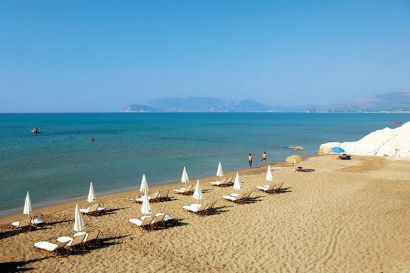 Hotels on the beach are extremely rare, as in this area the measures for the protection of Caretta-Caretta turtle are strict. In Kalamaki you can find a great variety of studios and apartments situated amongst sleek gardens and close enough to the sea at affordable prices. 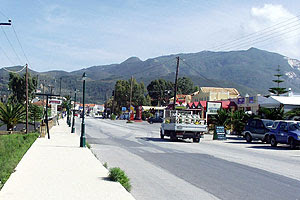 Kalamaki beach is part of Laganas Bay and along the resort there are several roads that lead to the beach. The beach is organised with umbrellas and sunbeds to rent. 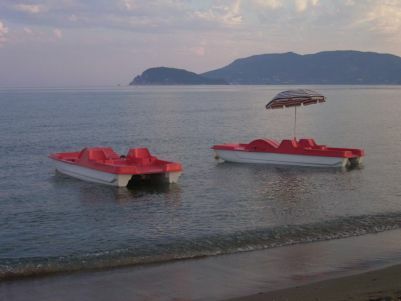 Here you can hire a pedalo and observe the Loggerhead turtle in its natural habitat. 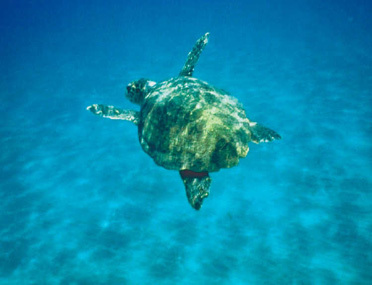 Due to the strict measures for the protection of Loggerhead turtles, watersports are not allowed in Kalamaki beach. At the east end of the beach behind a couple of tall rocks lies a nudist beach, called Vrodonero. In Kalamaki you can enjoy a stroll on the main road, where the most shops and taverns are situated or even hire a bike and wander at the lush resort. Close to the main road of Kalamaki a mini-golf court is open to all whereas the most adventurous can find a go-kart track on the main Kalamaki-Laganas road. Last but not least, for those who are fond of horse riding, there is a choice of riding a horse inside a fenced area or at Kalamaki beach. The children can find here playgrounds and fancy waterslides as a part of their fun-packed activities for an enjoyable holiday in Zante. Kalamaki offers a wide variety of taverns and restaurants with traditional Greek as well as international (Italian, Chinese, Mexican etc.) cuisine. The taverns with live music and traditional Greek dances are worth preferring. Also, for fast food lovers, Kalamaki offers pizzerias and fast food restaurants. 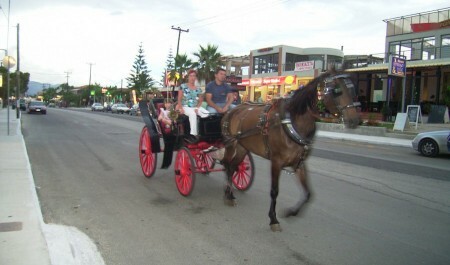 Kalamaki main road is thriving with gift and souvenir shops, local traditional products, leather products, super-markets, jewelry shops and a few clothes and shoes shops, all offering quality products at affordable prices. Here one can find souvenirs, bags, Caretta-Caretta miniatures, pottery and local products such as mantolato and pasteli. The shops remain open during the day, allowing everyone to go shopping at their own pace. Kalamaki nightlife is relatively quiet compared to Laganas and Argasi nightlife. There are several bars, pubs and karaoke bars that stay open late. Most of them are encountered at the main road and a couple on the mountain slope offering magnificent views. We are Zakynthians wishing to plan the dream holiday for you on our island! Ask us about accommodation, trips and resorts of Zakynthos. Call us at 26950 29700 or 26950 41480 from 09:00 to 24:00 every day or contact us through messenger, chat what's up and viber. 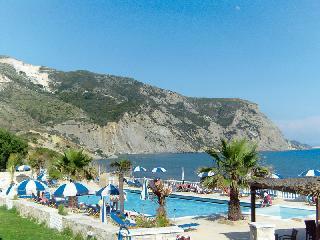 Kalamaki is situated 5 km away from Zante Port and 3 km away from Zante Airport. 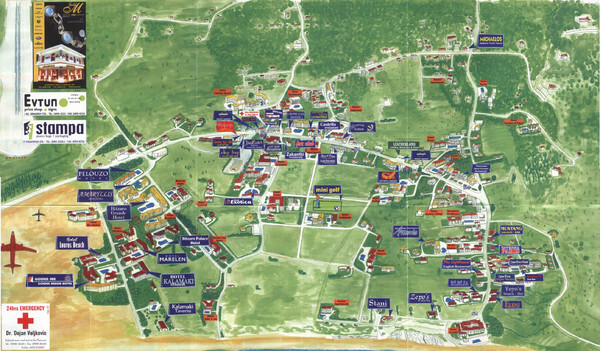 It takes about 15 minutes to visit Kalamaki by car or taxi from Zante Port and 15 minutes from Zante Airport. 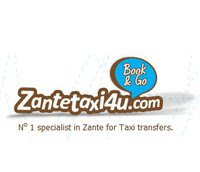 Zante taxi transfer from Zakynthos Airport/port to Kalamaki book your taxi transfer at Zantetaxi4u.com. Moving around Kalamaki is easy as the distances are short. 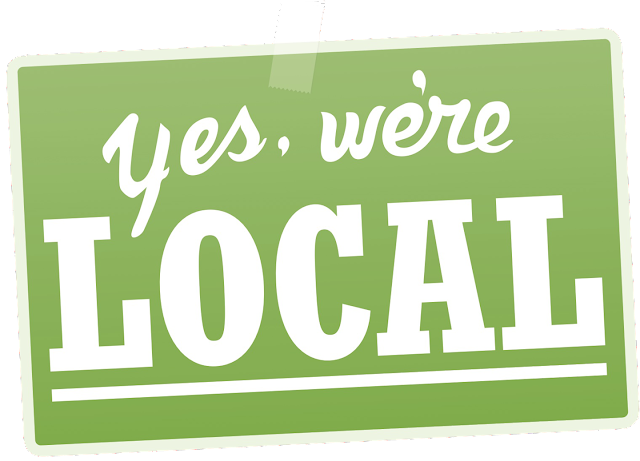 For longer routes you can hire a car or motorbike, or even utilize the local bus, which performs daily shuttles.